Experienced Chapter 7 and Chapter 13 bankruptcy help. Experienced and affordable Lakewood bankruptcy lawyers fighting to protect your legal rights! If you live in Lakewood, WA and are considering filing for a Chapter 7 or Chapter 13 bankruptcy, you no doubt have a lot of questions about the differences and about whether or not you can qualify. Let us help you determine whether or not you can qualify for protection under our Federal and Washington State bankruptcy laws. 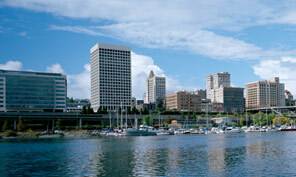 Our Washington State debt relief lawyers are here to explain your legal options and rights. Worried about losing your home at a foreclosure auction? Does it feel like the creditors won’t stop calling? Keep falling further behind every month? If you are considering filing bankruptcy, our experienced Lakewood bankruptcy attorneys can help. We have over 10 years experience helping hundreds and hundreds of residents file for bankruptcy in Washington State. Allow us to help you too! Many people think that bankruptcy will ruin their credit because creditors will deem them as irresponsible and unable to pay bills. In many cases, this is not true; bankruptcy can actually help improve credit scores. There are many advantages to filing for bankruptcy. Discharge 100% of all your qualifying debts. Stop foreclosures and threats of repossession. However, there are a lot of factors that determine what can happen during your bankruptcy. This depends on your income, expenses, and which chapter of bankruptcy you decide to file. That’s where our skilled and experienced team of Lakewood bankruptcy attorneys come in to help. We help you determine if you qualify for bankruptcy. If you qualify for bankruptcy, we will help you explore your options to decide which type of bankruptcy is right for you. Once you decide which type of bankruptcy is right for you, we will immediately start the process of filing your bankruptcy petition. Any harassing phone calls will stop. Any civil action against you will stop. Any repossession threats will stop. Our dedicated Lakewood bankruptcy lawyers are in your corner! We understand that going through a bankruptcy is a difficult time in your life. We want to help you get the support and guidance you need during this time. That’s why we are more than experienced Lakewood bankruptcy attorneys; we are your legal advisors. A free initial case evaluation. Low flat fees as well as affordable payment plans. Personal attention your Lakewood bankruptcy case deserves. Schedule a free initial case evaluation with one of our skilled Lakewood bankruptcy attorneys today! We understand that filing for bankruptcy may be a difficult decision. That’s why we invite you to take advantage of a free initial case evaluation. This way an experienced bankruptcy lawyer in Lakewood, WA from our law firm can evaluate your case and help you decide if filing is the right course of action for you.